I work within a printmaking tradition that began with William Hogarth, the British satirist who worked in the early part of the 18th century. Hogarth, and those who followed in his tradition, used print to satirize the human follies of their day. My current work explores ideas of transformation socially, politically and spiritually. In particular, I am interested in icons of power, as they undergo exposure, re-visioning and reformation. Printmaking has always, for me, been an extension of drawing, a way to enhance and make departures from drawing. 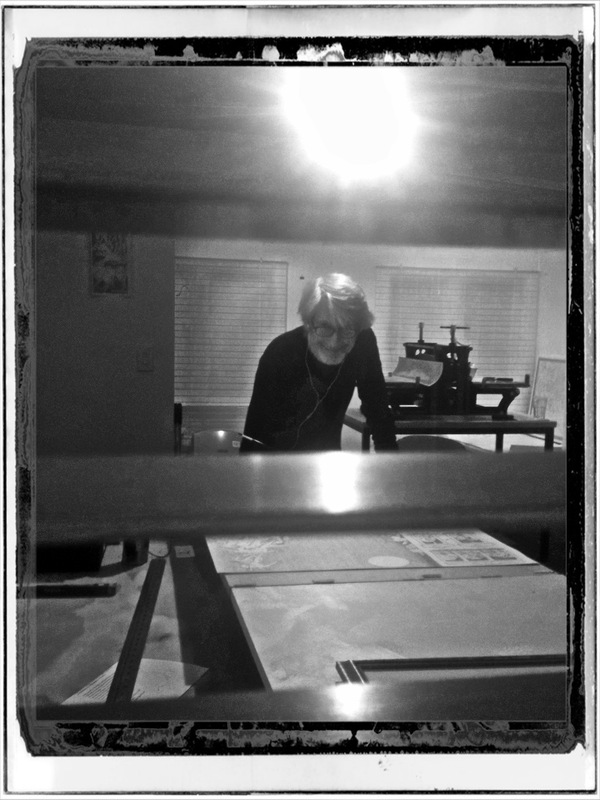 I have worked with most of the traditional printmaking media (etching, stone lithography, relief print). I am presently making drawings with brush and ink as well as creating collaborative paintings with the colour-field painter, Ellen Johansen. I am a U.K. born and trained artist and have lived in New Zealand since 2003. Originally I was trained as a painter and then as a printmaker. I later trained as a psychologist.